HOW TO GET SALTO DE ESTANZUELA? 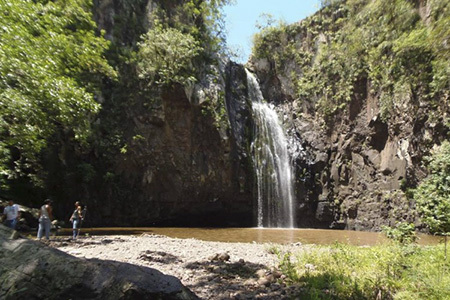 The Tisey Estanzuela Nature Reserve is located 12 kilometers from the city of Estelí. 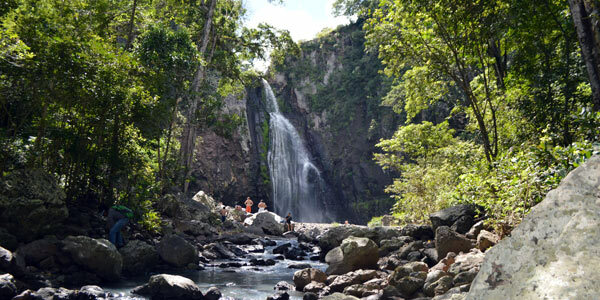 It has an area of ​​21,600 hectares and a wealth of fauna and flora. The Reserve extends in the municipalities of Estelí and San Nicolás de Oriente. 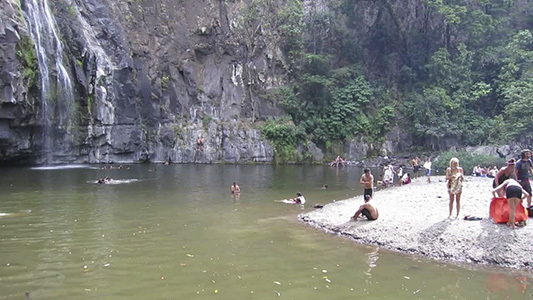 The Tisey Estanzuela Nature Reserve offers a wide variety of places to discover and activities to do. They live in the area, about 100 species of animals, 13 of them are under national protection and are in danger of extinction (62 different species of birds and 28 species of mammals, 3 amphibians and 8 species of reptiles). where you can enjoy beautiful views and activities such as rappel, climbing or simply take a refreshing swim in its waters. Just 5 kilometers from the city of Estelí is easily accessible, by bus or private vehicle in a journey of about 20 minutes and then on a walk of less than 5 minutes. To access the place you have to pay a modest entrance of about 30 cordobas that also allows us access to the spa of the Mill. El Molino Spa is located in the community of Estanzuela, near the Salto de la Estanzuela. It offers us a pool of water, the largest of about 5 meters deep under a waterfall of 3 meters. But there is much more to see and know in the Reserve apart from the Salto de la Estanzuela. We found the Queserita Caves, located in the community of El Pastoreo. In the place there is a poza where to bathe and 5 caves around the origin of which dates back to pre-Columbian times. Access is difficult, only possible in a first stage in a four-wheel drive vehicle and in a second stage on foot, it is advisable to make the route with a guide since the place is not signposted and easy to get lost. In the community of La Tunoza you can visit a recycling paper project by the Olocika Women's Environmental Association. There are several paths that can be made within the Reserve. The Careto Carpintero Trail, located a few meters west of the community of La Garnacha. The route is about 800 meters and at the end we can reach the Mirador Paisajes de Mi Tierra, where we can enjoy its spectacular views. Another path we can take is the Tisey Path. It has its beginning in the community of La Almaciguera and a viewpoint on the top of the hill at 1550 meters high. It is the only viewpoint in the whole country from where we can observe the waters of the three slopes of the country (Pacific, Equestrian and Atlantic). The El Luis Trail, in the community of Tejera, takes us between a spectacular nature to the Mirador de Oriente. In the municipality of San Nicolás de Oriente, near the community of La Garnacha, 15 kilometers from the city of Estelí, in the Cerro de Apaguaji, we find the Caves of Apaguají. Due to the difficulty and lack of signage it is essential to carry out this excursion with a guide. In the three caves that communicate with each other, there are 16 species of bats. In the community of El Jalacate, we find the Gallery of Stone El Jalacate, a place that without a doubt surprises all the visitors. The artist Alberto Gutiérrez has produced since 1977 more than 100 sculptures and 87 drawings. At the top of the hill are the most interesting works carved in stone of themes as diverse as animals or historical figures of Nicaragua. From the community you have to walk about 15 minutes to get to the place that is not signposted. In the community of the Grenache is located the station of Guardaparques, a shelter and a shop of artisan and goat cheese elaborated artisanally in the same community. On the same Pan-American highway take the junction of the junction located at km 135, continue along that road for about 9 km, there take the detour of the community of La Garnacha. To get there by bus, take it at the bus stop of the Mercado de Estelí. If you travel by own car from the city of Estelí, you have to go to the Panamericana at kilometer 145 where you should take the junction that goes to the Grenache community.